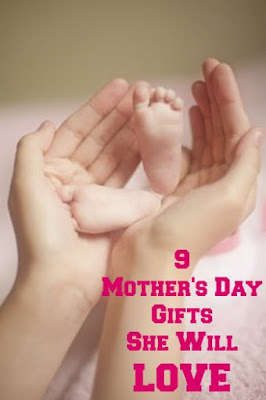 9 Mother's Day Gifts She Will Love! Mother's day is quickly approaching and as a Mom who knows how hard it can be find the perfect gifts for Father's Day, I thought I'd help some of you out. I've put together a list of gifts that I have found on Etsy, with various price ranges, that I believe any mom would love. I know I'd love to get any of these items (hint hint to the husband...). I have listed them in no particular order, so enjoy! It is now May and Mother's day it just a couple of weeks away. Have no fear though! I've found the perfect projects for you to make your Mom! Being a mom myself, homemade gifts from your babies, no matter how old, are always okay in my book. It shows that you are actually taking the time to think about her, and not just buying whatever you see on the store shelves. It is made with love. Most of these do not take too long so you still have plenty of time! 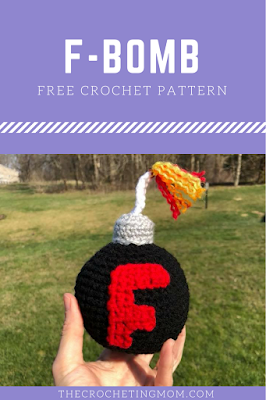 Free Crochet Pattern for the "F-Bomb"
I have seen pictures of these F-Bombs floating around for a little while now. I've really wanted to make them, but without an actual reason, my other priorities took precedent. Well, I finally had someone order some of them, because, well, they are AWESOME! I was so excited to get started, but as usual, when searching for patterns, I couldn't find one that I loved. So in true "The Crocheting Mom" fashion, I decided to make my own! For this pattern I like to do the F first, so that when I get to towards the top of the bomb, I can have it ready to sew one. Now that I have craft fairs down to a science (almost), I want to start adding giveaways into the mix. People love free stuff. Heck I love free stuff myself. Even just the chance of winning something, will entice people to come check out your booth! 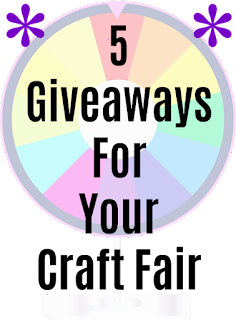 I've been doing some research to figure out some different ideas and I have come up with a list of 5 fun giveaway ideas that I think your potential customers will love! Some require purchases, and some don't. You'll have to decide before hand exactly how much your willing to give away, and what the criteria will be. I have had quite of bit of experience working with children since I graduated college with my BA in Early Childhood Education, almost 10 years ago (OH MY!). During this time I had mostly worked at daycares, with a few years subbing in elementary schools. I have worked at daycares in four states and have seen firsthand what parents should be looking for when making this big decision. Here is a list of what I feel to be 10 of the biggest things that you should be considering when doing your research. Are you looking for something to buy that crocheter in your life? Are you at a loss as to what crocheters would really want? Well, honestly, most of us would be happy with anything! I wanted to make sure I provided a list that all crocheters would agree with. Therefore, I polled my fellow crocheters in the Facebook groups that I am a part of. With their help, I came up with a list of items that will sure to be a hit with the crocheter you are buying for. These gifts will be perfect for Christmas, birthdays, Mother's Day, anniversaries, or just a Wednesday! * This is a three part series. These are in no particular order, as they are all important in their own way.